Tom Morris is without question one of the sharpest journalists and curators working today. His words have appeared in The FT Weekend, Departures, CNN Style, and AD, among others. 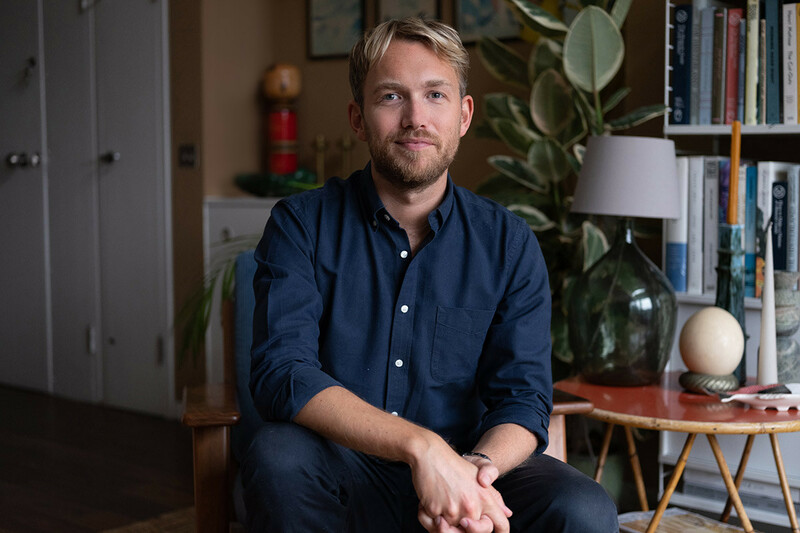 Morris was at Monocle Magazine from its inception, giving him the ability to be involved in a burgeoning brand at a time when the design industry at large, was beginning to mature (or globalize, if you will). 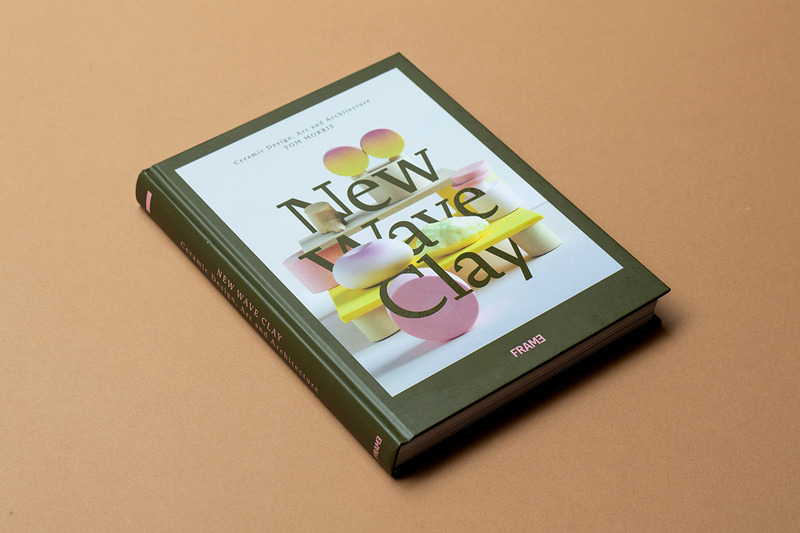 Tom’s third book New Wave Clay , published by FRAME in 2018, chronicles a new generation of designers and craftspeople working in the ages-old medium, including a few TFP favorites. Finally: to establish his true multi-hyphenate bona fides, Morris has branched out into a small design practice, overseeing projects predominantly in the U.K.. Right now the studio’s services are by word-of-mouth only - but don’t expect that to last. As a modernism aficionado - not to mention Clay expert - we were intrigued to spend some time shopping with Tom. 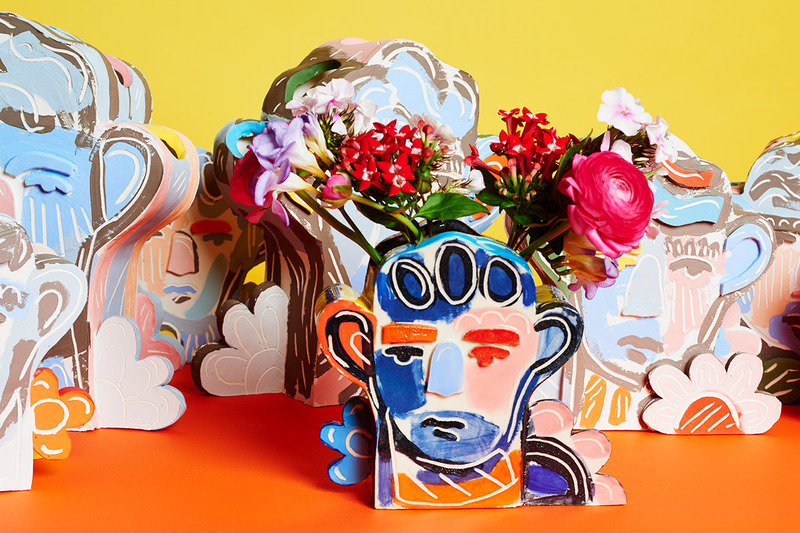 "So vibrant and, despite being made of hefty ceramic, Reinaldo’s little thrones have such a delicate air about them. Adam Pogue has a great gift for pattern and is the perfect match for Commune and the way they always manage to bring character to what they do. Rarely do new sofa designs come along that feel like they’re truly doing something different. I like the way this manages to be both a comfy cocoon and a showpiece at the same time. " "These Jonathan Cross vessels have just such brute force about them. Another London poster boy – everything Michael does turns to gold, but especially these mobiles. It feels like it’s been pulled out of the earth. The contrast between the thin sheet of brass and the wood is also very smart." 1. You’ve been a resident of the Barbican for some time. What drew you to this much-misunderstood building initially and how would you describe living there? Originally, it was the sheer drama of it. From a distance the area is so incredibly striking with its three concrete towers poking up, its humpy roofs and the turrets. – specially sitting right in the middle of London surrounded by so much glass and steel. 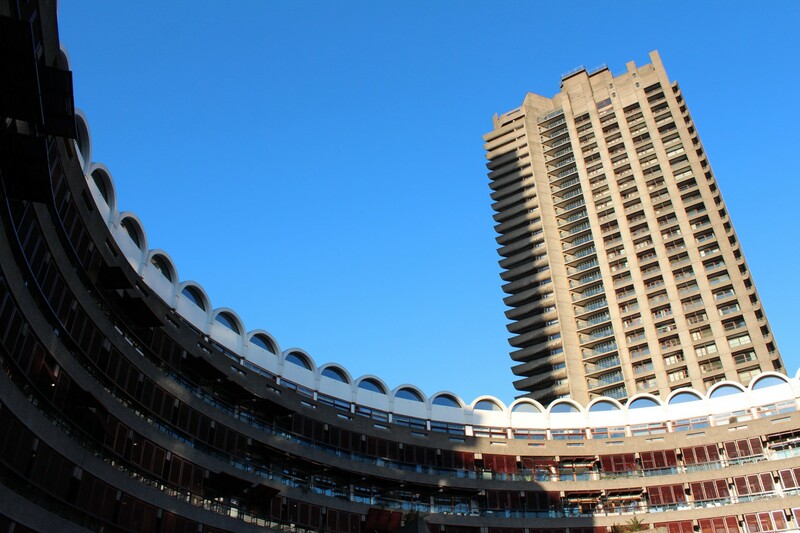 But once you look a little bit closer, you realize how and why the Barbican is still one of the most successful examples of post-war high-density, inner city building. The proportions, the materiality, the community, the location, the sense of play: six years into living here, I still take pictures of it most mornings on the way to work. It was so thoughtfully designed – and I think because of that, everyone who lives there loves it, which really transforms the atmosphere of the place. 2. Your third book 'New Wave Clay was released last year. What led you to this celebration of an ancient medium and its current renaissance? Tough question: but were there any favorites among the many you covered for this wonderful book? 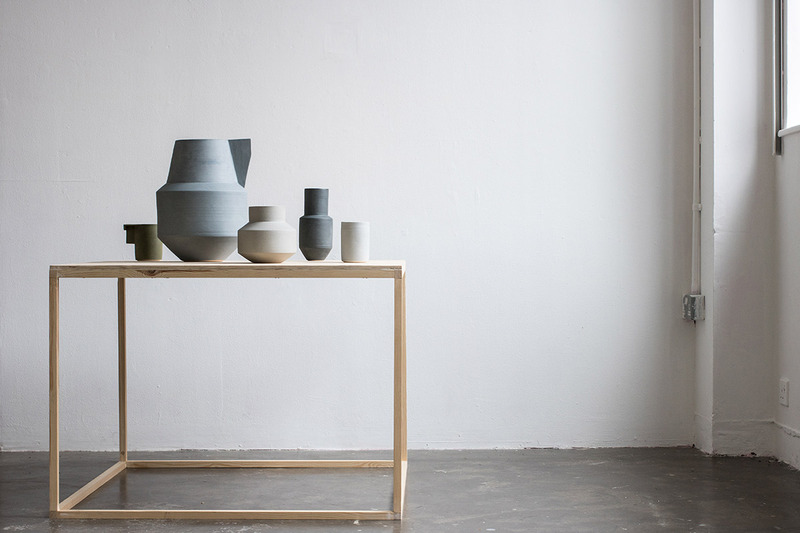 I’ve written about ceramics for years but certainly noticed a couple of years ago the craft revival that was happening – both in the volume of craftsmen and designers making ceramics and in the increasing collectability of them. What I found particularly exciting was the number of people from different creative fields picking up clay and working with it: sculptors, illustrators, graphic designers, architects, painters. They have brought a fresh new attitude to this age-old medium and we’re seeing such an exciting, varied array of things being made with it. They’re all my favorites, that’s why they’re in the book. 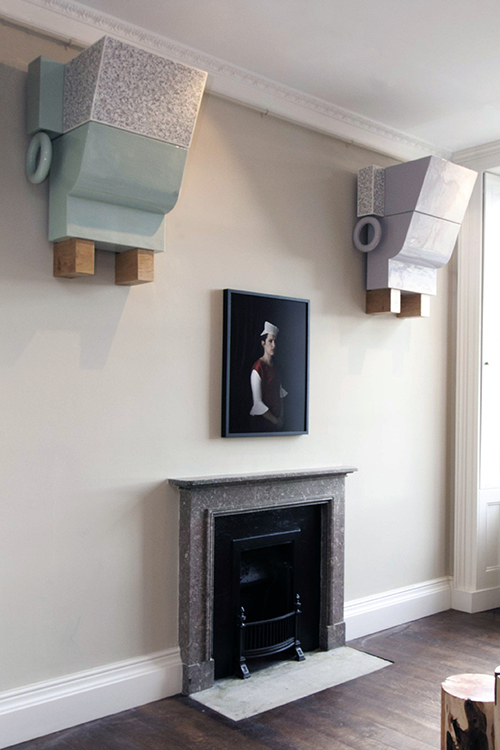 However, some projects really stood out to me, including the temple project by Sandy Brown, porcelain pieces by Sara Flynn, James Rigler’s ceramic architectural pieces and a wonderful fireplace by Emmanuel Boos. Sarah Flynn, featured in New Wave Clay. Derek Wilson, featured in New Wave Clay. 3. You’ve quietly launched your own interior practice in addition to your journalism and consulting career. Can you talk us through this transition and how your experience covering architecture and design informs the practice? I have been a design editor and writer for more than a decade now and in many ways the job is the same as creating interiors: it’s a matter of governing taste, knowing how to tell a story, reading an audience or client and bringing in a few surprises to get people’s attention. It began when some friends asked for help with advice and has grown into a small sideline in what I do, after I took a qualification in the practical side of things. I’m currently working on a top-to-tale four-bedroom house in London for a client who works in the restaurant business. 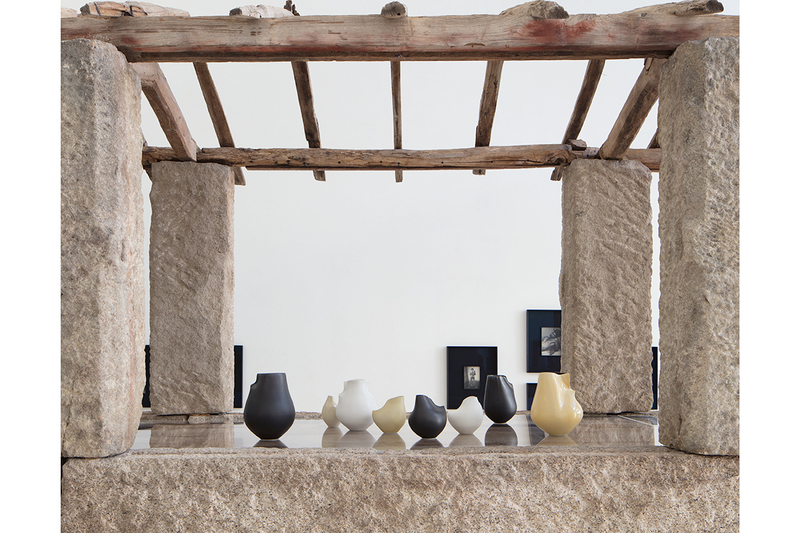 James Rigler, featured in New Wave Clay. 4. Having covered design for so many years - and with a particularly global eye I’d say - what are some of the key ‘trends’ coming down the line? I think we’ll continue to see people yearning to bring more nature into their homes against all the racket of technology around us. That’s played out in the overwhelming rise of house plants, rattan, wood, ceramics, textiles, wabi-sabi pieces and earthy color palettes that we’ve seen in recent years. I wouldn’t call that a trend necessarily, more just a humankind-wide desire for stuff that isn’t a screen. The maximalism thing comes from the same place I think – people want something experiential, powerful and 3D as opposed to a life in pixels. 5. You worked for Monocle Magazine (and Tyler Brûlé) for many years as the resident design authority. Can you share a few highlights over that period? Obviously Monocle and Brûlé were incredibly prescient regarding the growing presence of design, tech and aesthetics in our lives. I was at Monocle from issue one and it was amazing to watch it quickly turn from this indie thing we worked on on a back street in Marylebone to this massive behemoth that managed to so neatly capture the zeitgeist of a certain point in time. As design editor, highlights were editing The Monocle Guide To Cosy Homes book, being sent to New Zealand simply just to take a look around and nose out some stories and, undoubtedly my finest moment, getting pissed interviewing Pam Ann over cocktails at Nobu. John Booth, featured in New Wave Clay.